There’s no doubt that owning a Rolls-Royce is a one-of-a-kind ownership experience, and we are here to provide you the one-of-a-kind service to match! Rolls-Royces are deluxe, classic British cars, with an all-encompassing flawlessness. Like any foreign car, we know that maintaining your Rolls-Royce requires regularly scheduled check-ups and appointments. Rolls-Royce has always been a superior brand in both technology and luxury. Regular maintenance of your Rolls-Royce will enhance your driving experience and guarantee that your first-class vehicle, maintains its first-class reputation. All models, new and classic, offer a lavish driving experience. 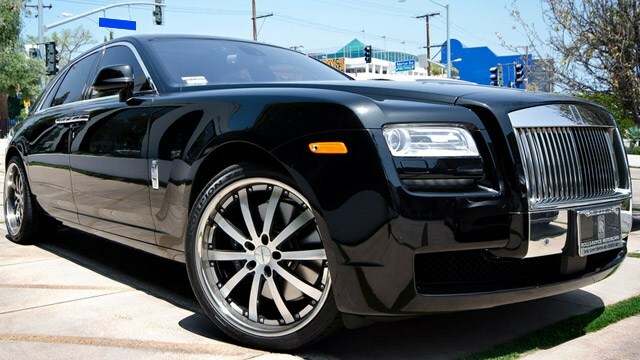 You can feel comfortable trusting us with your Phantom, Ghost, Bentley, or other Rolls Royce models. We are well aware that purchasing your Rolls-Royce was a carefully thought-out investment. Our team is trained and experienced in servicing Rolls-Royces, and we care about your vehicle just as much as we care about you—our customer. We hold both the vehicle and owner in the highest regard. We assure you that our work on your vehicle will be held to only the highest standards, and we take pride in being the best dealership alternative for your community.